Kenyon community members can sign up to receive emergency alerts through their cell phones, land lines and email accounts. The College also works with Rave Guardian, a free app for iOS and Android devices, to provide safety services to employees and students. Emergency calls & safety tips: Call or provide tips (including photos) to Campus Safety about an unsafe situation on campus, or call 911 directly from the app. The app includes step-by-step instructions for configuring and using each of these tools. View a preview of the setup process. If you've downloaded the Rave Guardian app but it won't open on your mobile device, consult instructions for managing apps on your iOS or Android devices. For more assistance, stop by the Helpline desk on the second floor of Chalmers Library. Below is a brief overview of the steps you'll take when you open and configure the Rave Guardian mobile app for the first time. The following screenshots were taken on an iOS device, and the Android app looks similar. Step 1: Enter your mobile phone number and Kenyon email address. At this screen, you'll confirm information about yourself and your Rave Guardian account. You'll enter your first and last name, select a username, create a password, and select a security question and answer. In the next step, you'll review your mobile number to ensure that it's correctly entered. 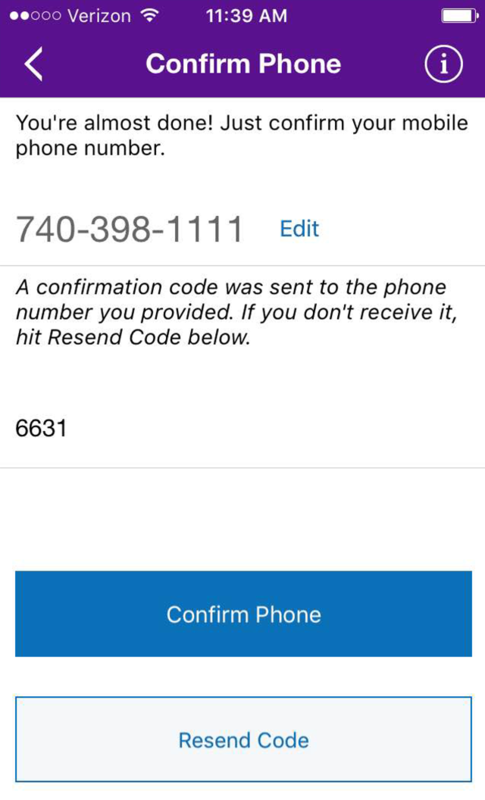 At the same time, Rave Guardian will send your phone number an SMS containing a confirmation code. Enter the code on this screen, then tap "Confirm Phone." 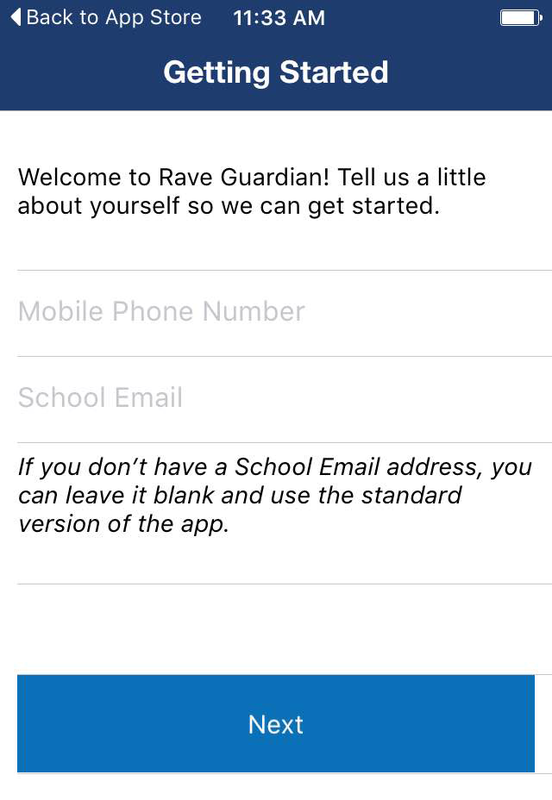 After you confirm your phone number, you'll see the main Rave Guardian screen. Tap any of the icons to explore and use the app's features.